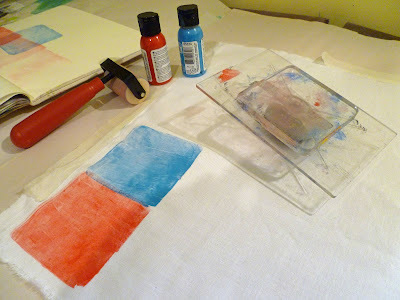 StencilGirl Talk: Painting on Fabric with StencilGirl® Stencils! 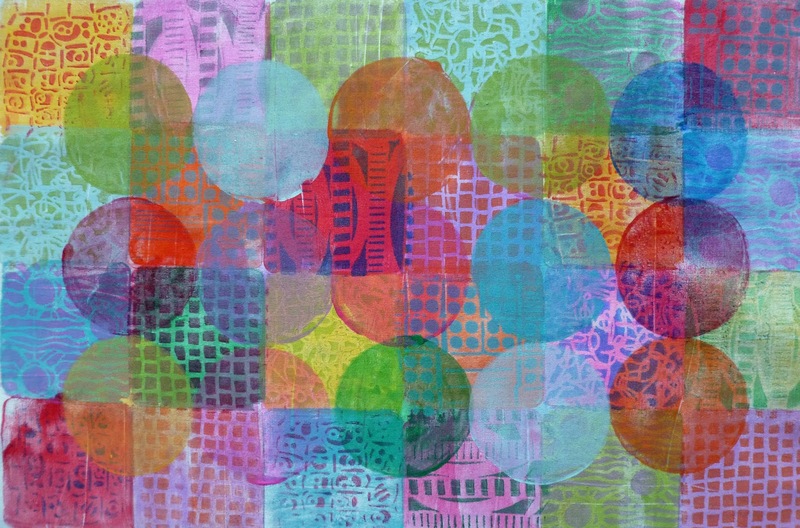 Painting on Fabric with StencilGirl® Stencils! 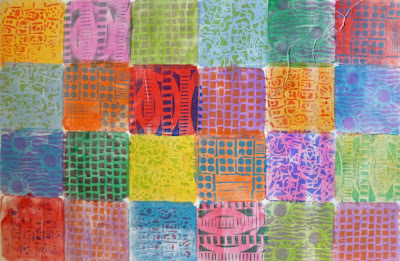 Almost everything you can do on paper you can also do on fabric and I wanted to experiment a bit more with layering paints on fabric this month. I’m very happy with the resulting piece of cloth but haven’t decided yet what I’m going to do with it and I’m leaving it up to you to decide for yourself. You could make it into a wall hanging simply by framing, or you could layer it up with batting and a backing fabric, hand or machine quilt it and then make it into a hanging. Beading would also be a good option. 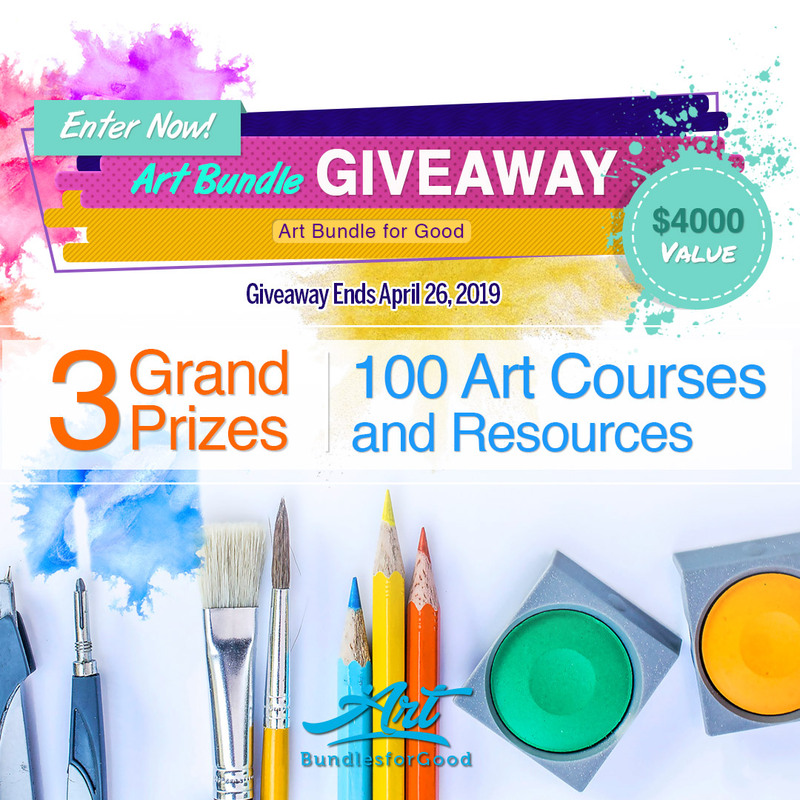 The resulting piece could become the cover for a notebook or an art journal! 1. Cut a piece of white cotton to the required size. 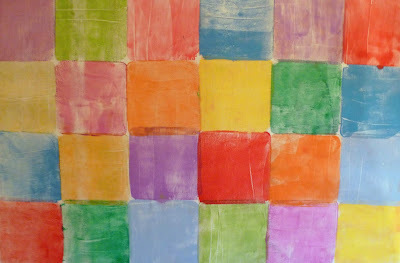 I wanted 4 x 6 squares and the gelli plate I used is 3” square i.e. 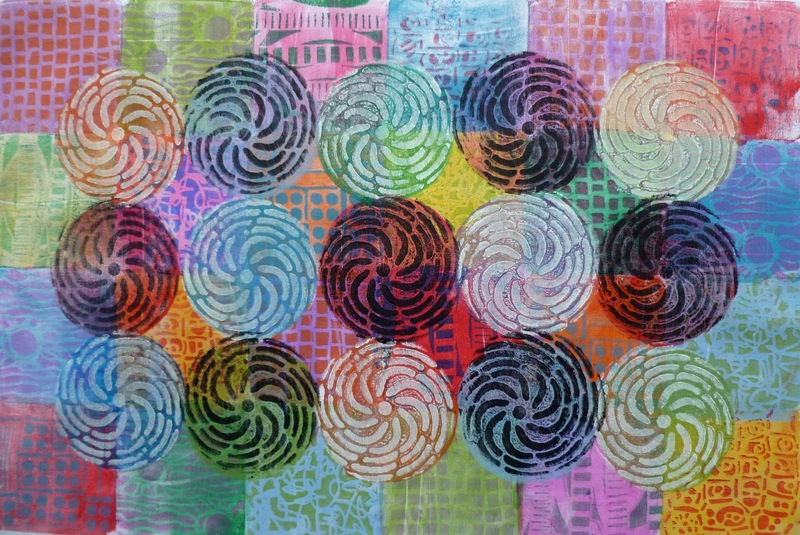 size 12 x 18” finished, so I cut my fabric 14 x 20”. 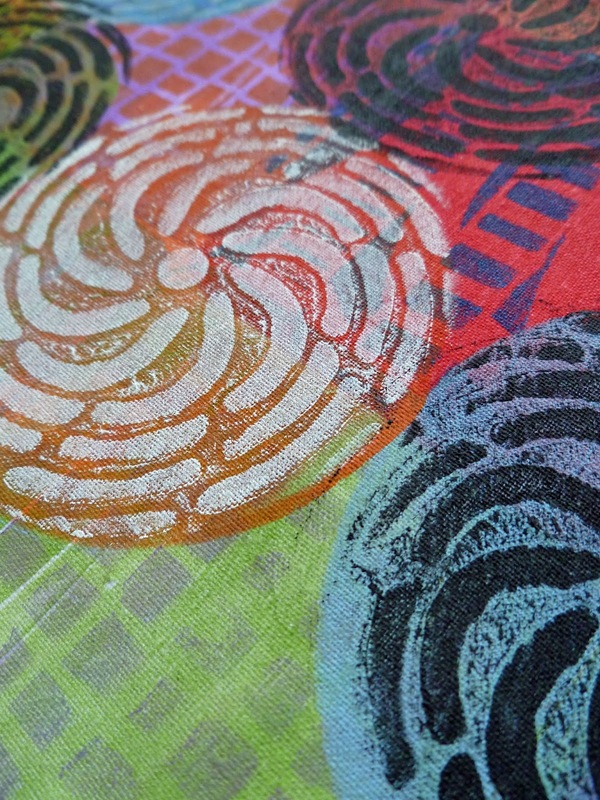 I put the piece of cotton on a table with multiple sheets of newsprint underneath to make a good printing surface. Secure your piece of fabric to the sheet underneath it with masking tape. 2. 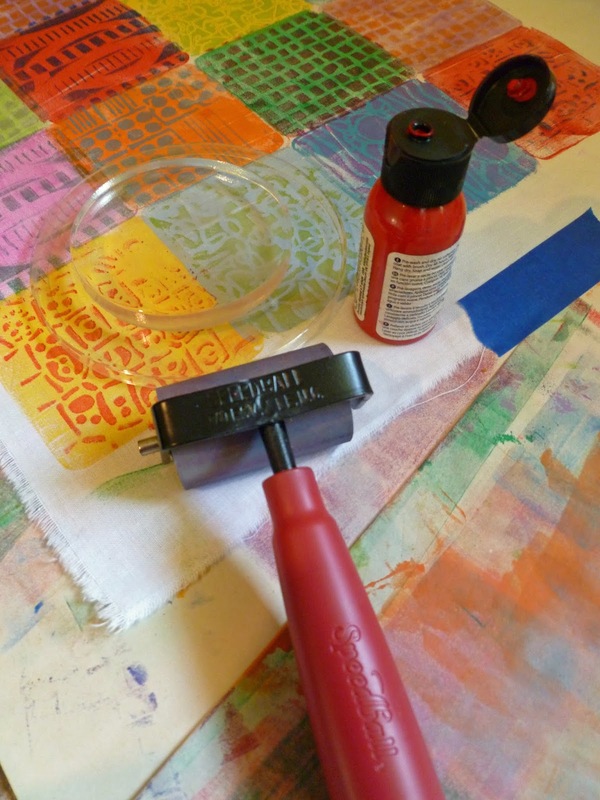 Mount your gelli plate to a perplex stamp holder (it will cling very well). I am using a 3 x 3” square gelli plate. Add paint with a brayer to your plate and stamp square onto your fabric. Make sure to clean your plate after each color change. 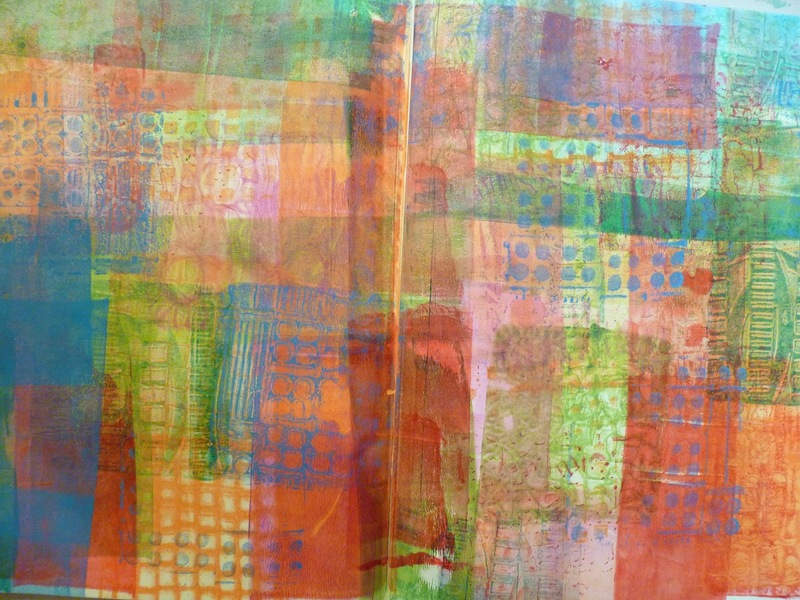 I had a journal to hand to clean both brayer and plate after each printing and ended up with a good background for art journaling. 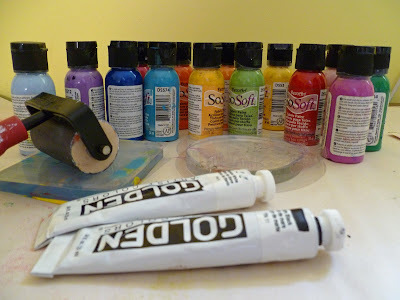 I used So Soft fabric paint which is a dedicated paint for fabric. Fabric paints are much more transparent than usual acrylics but you can just as easily do this step with transparent acrylics. The transparency is important for the layering effect. 4. 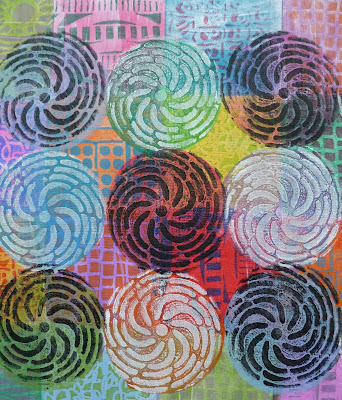 Repeat step 2 but this time using a small 3” circular gelli plate and putting the center of the circle plate where 4 squares meet. 5. 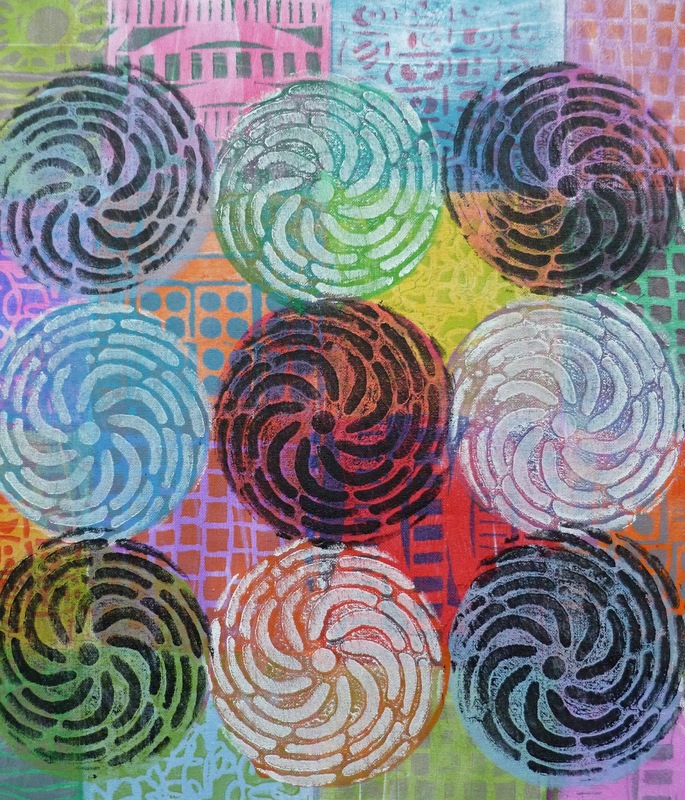 Repeat step 4 but this time use opaque paint in black and white (I used Titanium White and Mars Black from Golden) and put stencil S631 Spiral Petals down on the circles before stamping with the 3” circular gelli plate. Gorgeous! 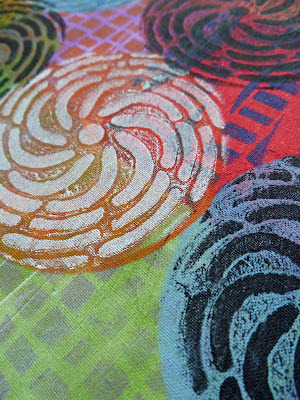 Love the many layers and that spiral stencil pulls it all together beautifully.